After a WILD performance, the Tigers from the University of Memphis are Small Coed DI National Champions! 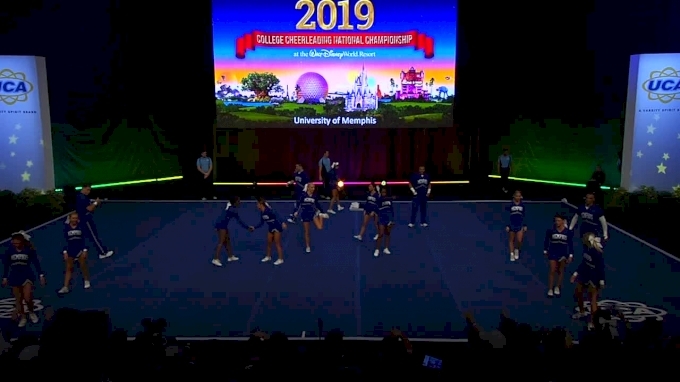 With 21 teams competing in the division, the spirit squad from Memphis, Tennessee placed in the top spot in Semi-Finals, which advanced them into DI Small Coed Finals with confidence and some added pressure. After Semis, it was time to band together as a team as they were given one last chance to showcase their routine. In the face of adversity, the Tigers pushed themselves harder to come back stronger in this year's competition. “You can get through anything with your family and that’s exactly what we are, a family. We have a saying “1621” which means that the 16 on the mat all must become one if we want to accomplish our goal.” – Latajia Watkins. The team opened up their championship routine with Memphis pride. ”There were multiple parts of our routine that stood out, but our opening formation in our ‘M’ that transitioned into our round off rewinds really set the tone for our routine,” said Newell. For Kaleb, this was a dream he has had his heart set on for six years. “We had a lot of close hits throughout our season, but we were not going to settle. It felt euphoric to finally have peaked at the right time,” said Newell. The time was right as they had the arena crowd up and cheering for the Tigers in their Finals performance. The team is headed back to Memphis with their third national championship title! A force to be reckoned with, the Tigers are surely already hungry for their chance at going back to back in the 2020 UCA National Championships.